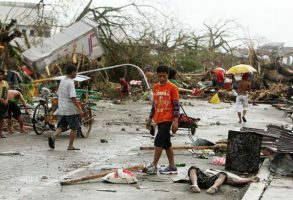 According to the Philippine Atmospheric Geophysical and Astronomical Services Administration (PAGASA), about 20 Tropical Cyclones enter the Philippine Area of Responsibility each year with an average of 8 or 9 making landfall. Because of this, the country constantly faces risks of fatalities and high-cost damage. 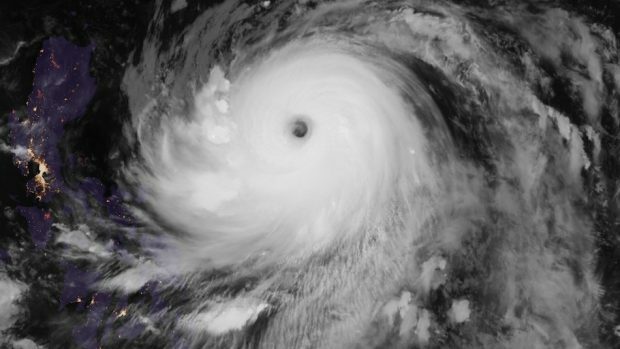 Super Typhoon Haiyan, locally known as Yolanda, was one of the world’s strongest typhoons. In 2013, Yolanda made landfall in the Visayas region, killing around 6,000 people. PAGASA has replaced the name “Yolanda with “Yasmin” in its lists to Tropical Cyclone names. A cyclone name is “retired” when it has caused at leat 300 deaths of P1 billion pesos worth of damage in crops and infrastructure. •	The winds near the ocean surface have converged, causing air to rise and storm clouds to form. rotation that can spin a cyclone. which would turn into a Low Pressure Area and later on, a cyclone. 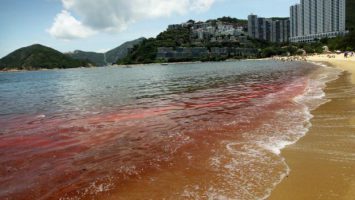 -Along with the dry season comes the risk of red tide, a discoloration in seawater caused by harmful algal blooms that kill thousands of fish. Red tide can cause respiratory ailments and skin irritations. As it turn out, red tide’s greatest enemy is the Tropical Cyclone season. While rains replenish seawater, winds toss its contents. And oxygenate near-surface waters, helping life to return to areas infested by red tide. It maintains global heat balance. -A Tropical Cyclone usually develops near the equator where heat content is high. Because a cyclone tends to move pole-ward, it distributes the warm tropical air to the poles, thus- maintaining global heat balance. If there were no tropical cyclones, people from the tropics and those near the poles will suffer from the intense heat and cold respectively. 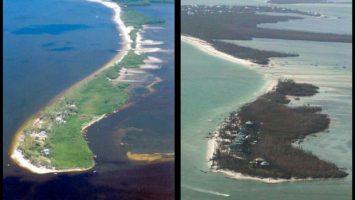 – According to Jonathan Belles of the Weather Channel, barrier islands, which help mitigate ocean swells and protect the coastline, often get replenished as a Tropical Cyclones moves through them. Cyclones have the power to pick up sand and other elements on the seafloor and bring it towards the barrier islands through storm surges and strong winds. Without tropical cyclones, barrier islands would eventually sink into the ocean. – Tropical Cyclones bring light to intense rainfall needed by farmers for their crops. – As cyclones make their landfall, their winds blows seeds further inland, replenishing lost growth after urbanization and fires. -Tropical cyclones can bring an excessive rainfall, which we need to replenish the water level of our dams for our drinking water, cooking, household chores and irrigation. Like all other stories, the tale of the Tropical Cyclone also has two sides. The next time you dismiss this weather phenomenon as simply destructive, remember the good things it brings. This gives us all the more reason to prepare for such natural disasters, so we can enjoy more of their benefits, and less of their devastating effects.